We’ve been in Danville, VA, since May 6. Danville, for those who don’t know, is one of our many home bases. Danville is a small town of roughly 40,000 people on the border of North Carolina. Manufacturing, tobacco and textiles were its main industries for much of the 20th century, with a key business being Dan River Fabrics. Danville is where we own a house. There’s been a spider web of events and emotions from this past week in Danville, and some really big decisions. But before I reveal that, let’s recap. Sit back, grab a cuppa (as they say in New Zealand) and enjoy our (long) Danville story. 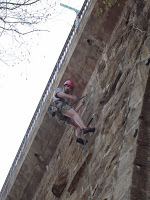 Once upon a time (in 2004), we moved to Danville, VA. J had just received his Master’s degree in outdoor recreation from Arizona State University and we wanted to move out of hot Phoenix. In particular, I really wanted to move back to the East Coast to be closer to family. Luckily, the full-time writing job I had at the time was remote, so I could go anywhere. J interviewed for a job in Danville and called me when he got an offer on the spot. Sight unseen, I moved to Danville. We had a good life in Danville. The cost of living there was astronomically lower than Phoenix, for starters. J worked 1 mile from our house and I worked from home, so we ate breakfast, lunch and dinner together. We walked to Main Street Coffee Emporium every Saturday for a treat. We were DINKs (double income no kids) living a normal, status quo life. Living in the deep South was quite different for us and we have some funny stories about it (examples: J’s famous barber shop stories, my time as a cross-country coach or the best Santa Calling phone call ever. Let’s just say we lived right across from the last confederate capitol where they reenacted the war and the South won. We hesitated to announce we were originally from New Jersey because “Yankees” had a bad rep.
We rented an apartment in the historical district. We loved walking around the neighborhoods looking at all the old homes. Back in the day, these were million-dollar homes. But Danville’s economy was hit harder than the rest of the country (Dan River Fabrics closed its factory and laid off half the town). As a result, out of towners were scooping up the now derelict houses for pennies, renovating them into dream homes and bringing the neighborhoods back to life. Danville has some of the most affordable housing prices in the nation. People that lived in the historical district would host potluck dinners on occasion, thus opening their homes to show off their masterpieces. We were in awe. We dreamed about becoming part of the movement. One day, someone approached us about buying one of the houses. 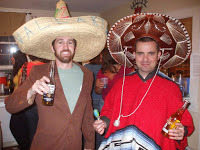 We were the youngest people at these potlucks and probably the only renters. This guy, who actually would become one of our greatest mentors, had a house in mind on a street where there was a lot of redevelopment going on. I can remember calling my dad for advice, this being our first home purchase. We went to look at the house. I had my clipboard with questions, one of them being about water damage. 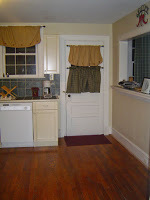 We open up the front doors and you could immediately see water damage. Our mentor said, “look up.” It was then that you could see a hole in the roof. Now people have asked why we didn’t go running from the doors at that moment in time. 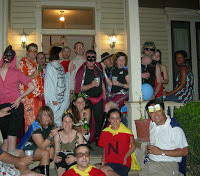 But, our 2005 homebody selves were completely different than the nomads we are today. And this wasn’t just any home. 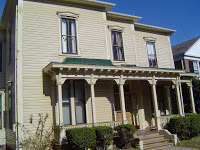 It is a 2-story, 4000-square foot, Victorian structure built in the 1880s. It was broken up into 4 apartments and we intended to convert the upstairs into one apartment and leave the downstairs as 2 apartments. 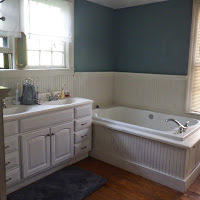 It sat empty for years, so we knew it needed just a little TLC, but it was an investment. 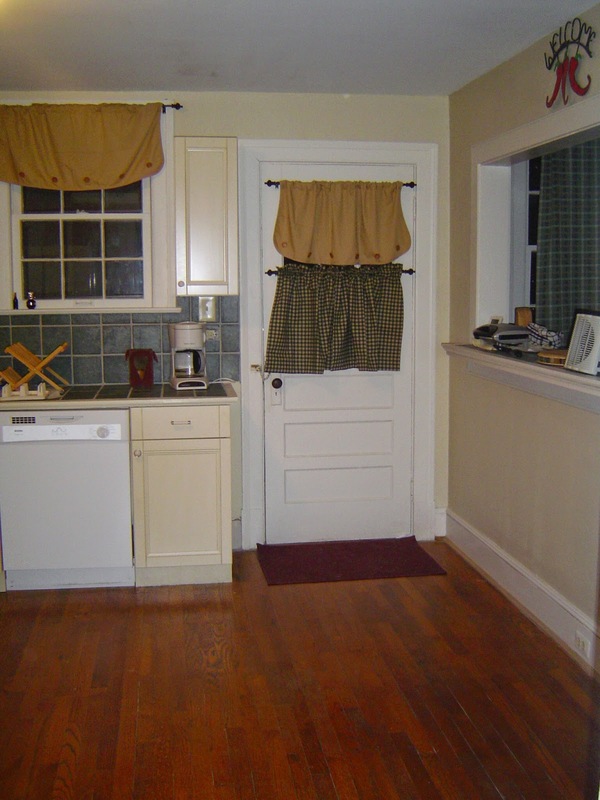 With the help of our mentor, we fixed the upstairs (2000 square feet) to create our living space. 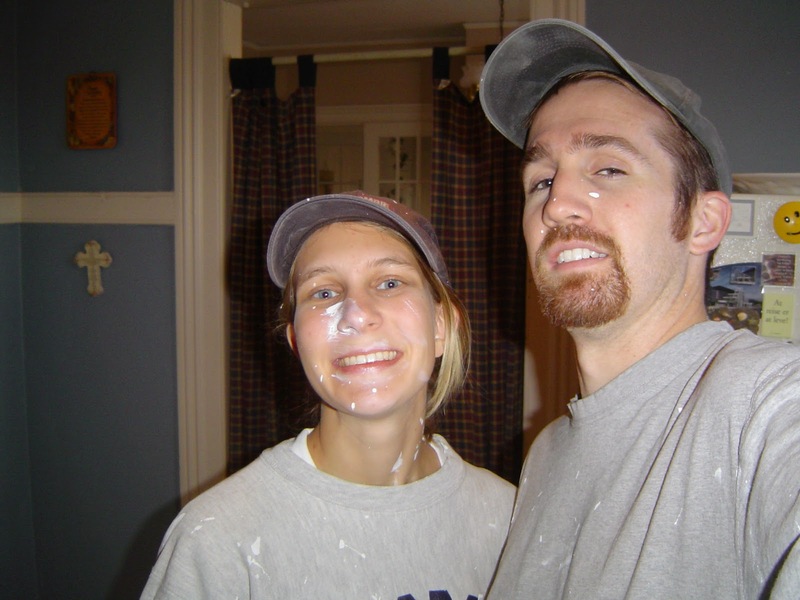 They say home renovations prompt 12 percent of couples consider divorce. Not us. We loved the process. We had so much fun learning. And sure, maybe painting 2,000 square feet of ceiling is not something I want to repeat, we took pride in all we accomplished. The upstairs apartment came out beautiful. The money had run out, so we put off renovating the downstairs apartments. By this time, we had made a bunch of friends in Danville and had a booming social life. There were weekly rock climbing excursions, scavenger hunts, young professional gatherings and regular themed parties at our big house. Again, it was a good, stable life. In 2007, Justin was applying for a new job. There weren’t many choices in the area, so he expanded his search. And in May, he received an offer for a job in New Hampshire. Leaving our house in Danville was not the easiest choice, but it was the only choice. As much as I was excited about living in New Hampshire, I cried when I drove away from our house in July. We put the house up for sale. Things in Danville were still looking good in the redevelopment area, so surely an investor would be interested in our house. There were a few bites, but nothing solid. In November, we got a call from our realtor. “The utility company just called me and said there’s been a spike in your water bill. I’m out of town, but could you have a friend go look at the place?” she asked worriedly. Our faithful friend, Warren, drove over and walked through the upstairs. Nothing wrong, he moved to the basement, where he found a large man standing in waist deep water cutting out our copper pipes. “You’re the mo-fo I’m looking for!” Warren, who is 5’6″ and 135 pounds soaking wet, tackled our copper-stealing crackhead and somehow dialed the police. Of course they didn’t respond in time. The guy got away. A few months later, after we had the pipes replaced with PVC in the basement, we were hit again. There wasn’t much copper to take, but they stripped what they could right down to the furnaces. We considered either installing an ADT alarm system in the house or placing a pile of crack on our front steps. Dodgy? You betcha. We went with ADT. It was obvious from the fact that people were stealing copper and manholes to make money that Danville’s economy had sunk as low as it could go. Selling the house just wasn’t the best option. Renting was the next option to attempt. It took almost a year to get a renter in there. Apparently, living in a house that has a history of break-ins and being surrounded by vacant, burned down houses (AKA, the ghetto) is not the stuff dreams are made of. 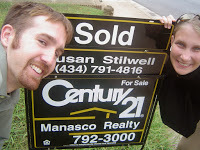 But finally, in June 2010, miraculously, we became landlords. Our first tenant stayed through September 2012. He was awesome and only had 1 break-in (apparently opting not to use the alarm that day). When he moved out, we put the house back up on the market at a lower price, wondering if the real estate market had changed. We put the house back up for rent, dreading the thought of waiting another year to get a new renter in there. To our pleasant surprise, it only took a hot minute before we secured new tenants! We enjoyed another 1.5 years of blissful landlording (yes, I just made up that word). A broken fridge and a few roof leaks were problems, but nothing monumental. But, like any glass page in a fairy tale, there was drama coming our way. In June 2014, we started getting e-mails from the City of Danville about a new revitalization program, under which the city inspects properties in the historic district based on Virginia health and safety code and requires the owners to fix any violations found. We called to find out more before paying the $50 fee to have our property inspected. The city meant business. They were requiring 30-day reinspections to keep on the code violations and if the homeowner doesn’t fix the problems, he/she is subject to $100 fine, followed by a $1000 fine for the second offense and a $2500 fine for the third offense, plus 18 days in jail. Now we are all for cleaning up blight and neighborhood decline, but this would be a herculean task. 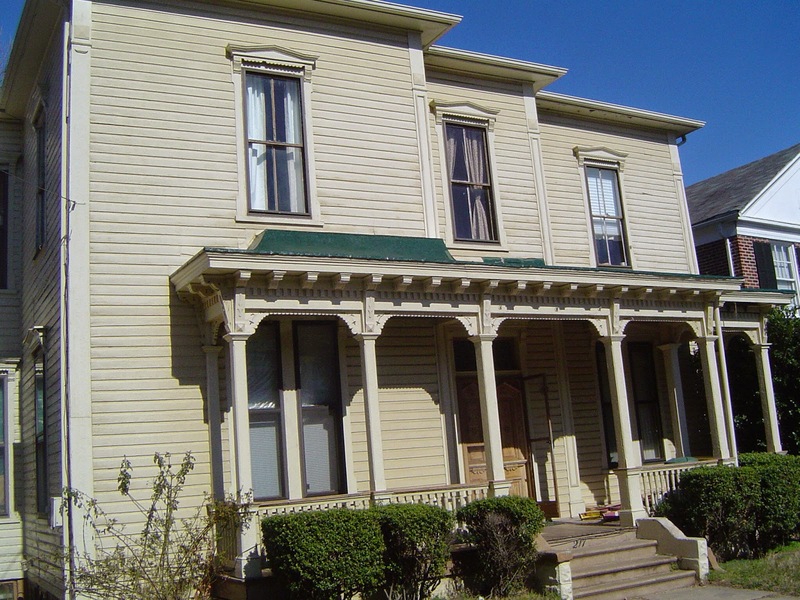 Nearly 20% of Danville’s houses are vacant and as a result derelict. A 2012 study revealed that approximately 2,000 houses in the city were deteriorating. We didn’t seem to have a choice to join the movement, even from across the country, so we gave a green light for our initial inspection. As we suspected, we had several violations–12 to be exact–like broken siding and chipping paint. We called the inspection office to discuss the Sept. 30 deadline to fix everything. 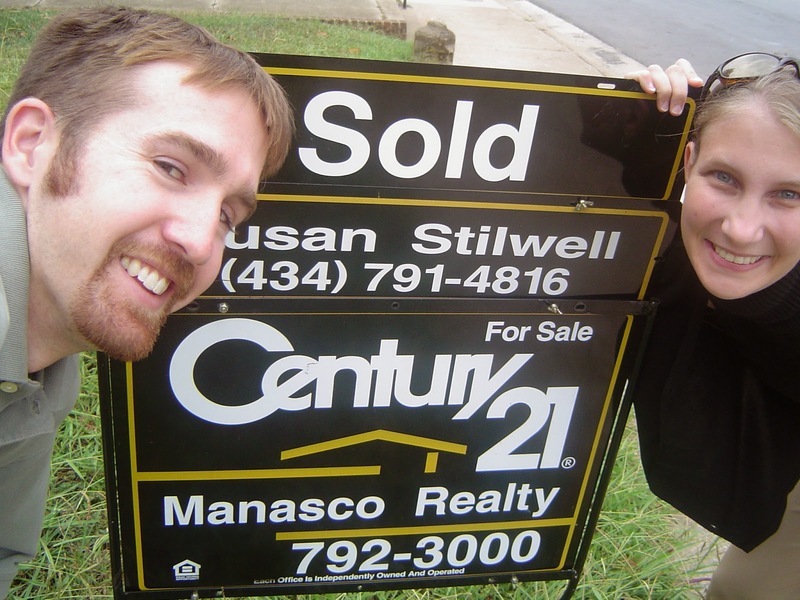 The city was also buying a few houses and we wanted to see if they wanted to buy ours (they didn’t). 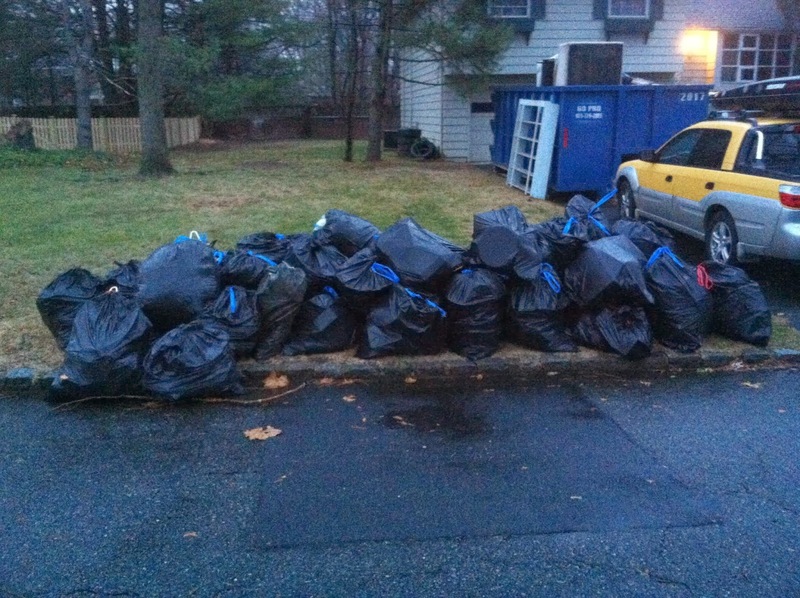 No work had been done on any of the houses on our street as of the summer of 2014. The city had evicted tenants from the really unsuitable structures. 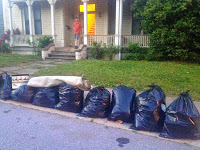 The neighborhood might have be quieter with less foot traffic, but not cleaned up. “If you don’t paint the house, you will continue to fail inspection, be fined and could end up in jail,” the inspector said. Some Danvillians have come up with a nickname for this inspector based on comments like this. It is not a flattering nickname. Hands tied, we chose 4 projects (not the exterior painting) and started doing work. Now this is where the story gets a little complicated. Our normal go-to handyman, Warren, was not available. So we entrusted the list of violations to a worker we had used 10 years ago. He seemed honest and said he could do the work. Nothing in Danville moves very fast, so it is no surprise that our work wasn’t done by the Sept. 30 deadline. Nor by the Oct. 30 deadline. If you remember, we were leaving for New Zealand Nov. 21. Our worker promised to have all the work done by then, so we reluctantly sent off a check covering his bill for work not done yet. You know where this is going? The worker never finished the work. What’s worse is he still had our keys and neither our tenants, nor us from New Zealand, could track him down. Are you on the edge of your seats yet? It gets worse. Our tenants moved out in January 2015 and we worked out a deal where they would keep the utilities on in their name while we were in New Zealand. I should mention that the City of Danville does not make it easy to make changes to utility accounts (like changing from one name to another). You have to make all those changes in person, which is always near impossible for us. We wanted to keep the electricity/gas in the upstairs apartment on while the house was vacant to keep the alarm on and try to prevent the pipes from freezing. Well, our tenants went to the utility office to turn on their utilities for their new home they purchased and the office would not let them keep our utilities on in their name because we had failed the last inspection. We sent an e-mail to the inspector, who replied that he was being lenient on us by not enacting the fines for failing inspections. But if we wanted utilities back on, we would have to come in person. I can’t even begin to tell you how difficult it was to deal with any of this while 8,600 miles away in New Zealand. Every time we had Internet access in New Zealand, we knew to expect 1 of 2 e-mails from our tenants. Either there was a break in or the pipes burst from cold temperatures. It ended up being the latter on Feb. 26. Yes, I do know our tenants are angels. Jeff, the worker guy, had the only key to Apartment 1, where all of our stuff was stored. With so much time to talk through future plans while hiking in New Zealand, we had come up with a grand plan for the house. Knowing we couldn’t keep evading the city’s inspections and forced regentrification of the historic district, we decided we would come to Danville for a few months, invest some more money into the house and do the work not only required by the city, but finish renovations on the other 2 apartments, so to make it a complete rental property. Of course now, before even arriving, the list of repairs increased with the burst pipes! But such is life. So when we pulled up to our house May 6 and opened the doors to Apartment 1 to see our stuff had indeed been affected by burst pipes, you can understand why we almost locked the doors and drove away again. This put us at a crossroads with the house once again. After we went through our stuff, tossing the items that were furry with mold, we soldiered forward with our grand plan for our rental property and started the arduous process of getting estimates and meeting with the city officials about what we could and couldn’t do. We could see a little progress across the city streets, but really, it was creeping. We’ve been saying for years, someday Danville will come back. But that someday still looked like it was far, far away. Since starting the blight eradication program, the city spent $5 million, demolishing nearly 400 structures and taking several hundred people to court over their code violations (including our neighbor who has lived in his house for 30 years with the mortgage paid off and no plans to make improvements!). It was a really rough week. Overwhelming and emotional because we were forced to purge our stuff, which is thankfully easier when you’ve lived with a backpack full of no more than 25 items. But overwhelming and emotional also because we were about to make a HUGE investment in a house that has caused us a bit of stress during our 10-year ownership. We’ve always had a love-hate relationship with this house. And then, just when we were about to sign a few checks to get work started, the city came out of left field and offered to buy our house. Now we had a choice. We could walk away. After a few VERY emotional days talking to as many people as we could about the situation, we decided to sell. Our Danville chapter will end on July 1, 2015, when we close on our house. Wow is the only real word that comes to mind, congratulations, we think. Come to nh. You always have a place to stay at our house in Pelham! It was really interesting to read about the whole history of you guys and the house. I really did enjoy living there while I was in Danville. Sure the neighborhood looks rough, but it's really not that bad (or maybe I'm just dumb. I live in downtown Baltimore now…). I'm glad things have worked out in the end. My cousin and his family live in Danville. Your story makes me never want to move there. This is all horrible and water damage certainly doesn't make it better. We had severe water damage in our place last year after a really, really bad storm. I can tell you that there are some really great business out there that specialize in cleaning up water damaged house.